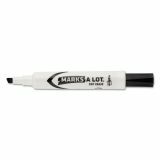 Avery MARK A LOT Desk-Style Dry Erase Marker, Chisel Tip, Black, Dozen - Dry-erase markers work well on whiteboards, glass and other nonporous surfaces. 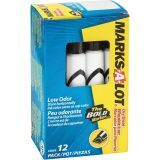 Low-odor, nontoxic ink wipes off easily with a dry cloth or eraser. 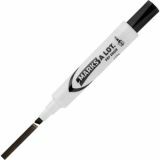 Durable chisel tip writes in three line widths and won't mush" or fray. 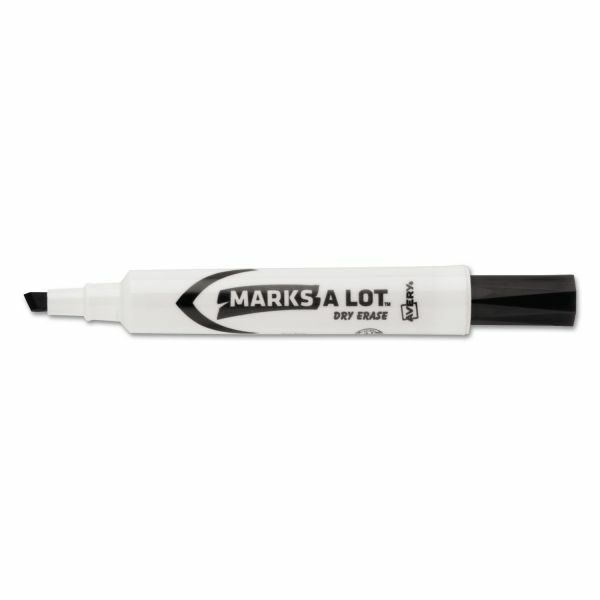 The nontoxic, low-odor, certified formula makes the marker safe for use at work, at home or at school so you can communicate virtually anywhere. The ACMI certified markers conform to ASTM D 4236." Cap can be left off for 24 hours without dry-out. Safe to use at home or school. Low odor, non-toxic.